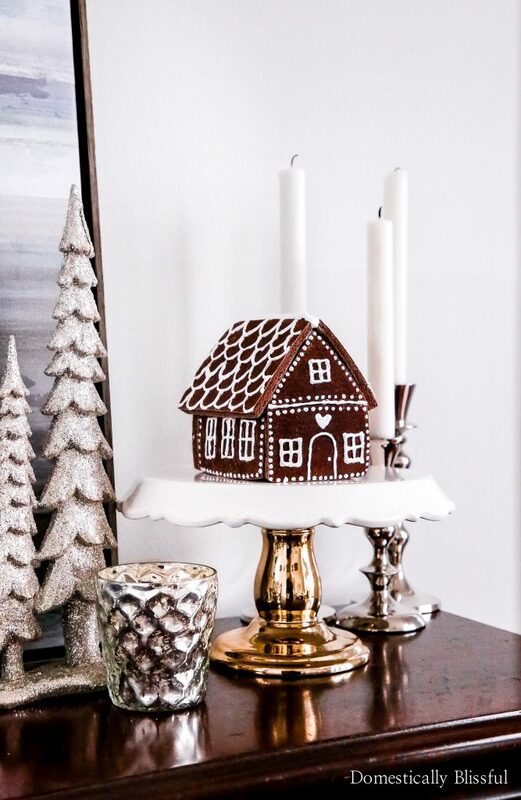 Today I’m sharing my first official Christmas post of the season!! 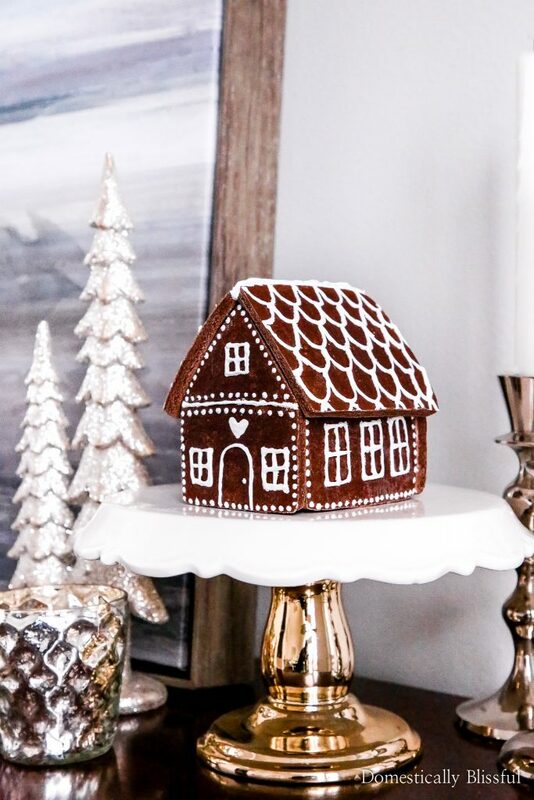 I’ve had this Cinnamon Salt Dough Gingerbread House on my list of Christmas projects to create & share with you all for years now & I am finally getting around to sharing it with you! I am not a cake decorator nor a cookie decorator nor a painter, so decorating this faux gingerbread house made me a bit anxious because I really wanted it to turn out good for you all. Since I’ve been dreaming of making it for years I had very high expectations for myself. And although it’s not perfect, it doesn’t look like a kid decorated it, so I am very happy with how it turned out! 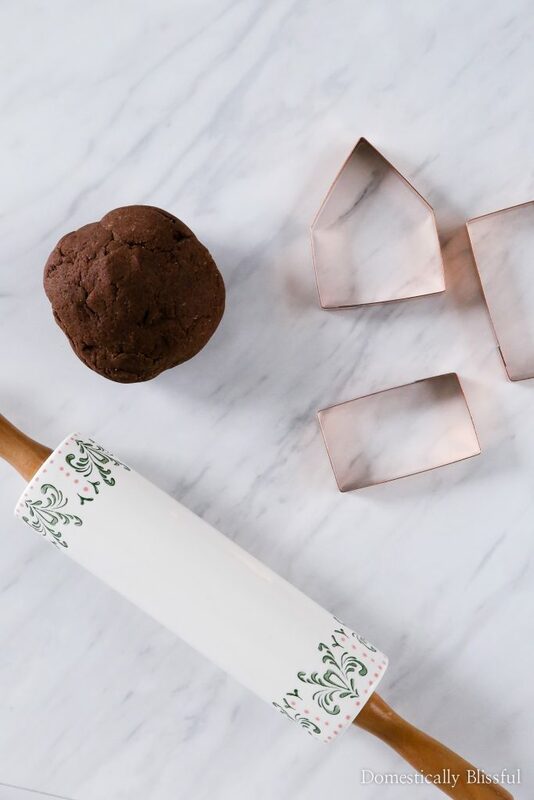 I know it’s been a long time since I shared a new DIY, which may be odd for a “domestic” blog, but between finishing the renovations of our home, selling our home, & building a new home the domestic side of our lives have been pretty busy! But come springtime, once we are in our new house, I’m hoping to be able to start sharing a lot more home focused posts. Until then I am going to focus on Christmas, selling our home, & making a million fun big & little decisions for our new home. 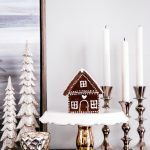 And sadly, this is probably the only Christmas DIY/décor post I will share this year simply because our life is incredibly chaotic right now. I’m not even sure if we are getting a Christmas tree this year! 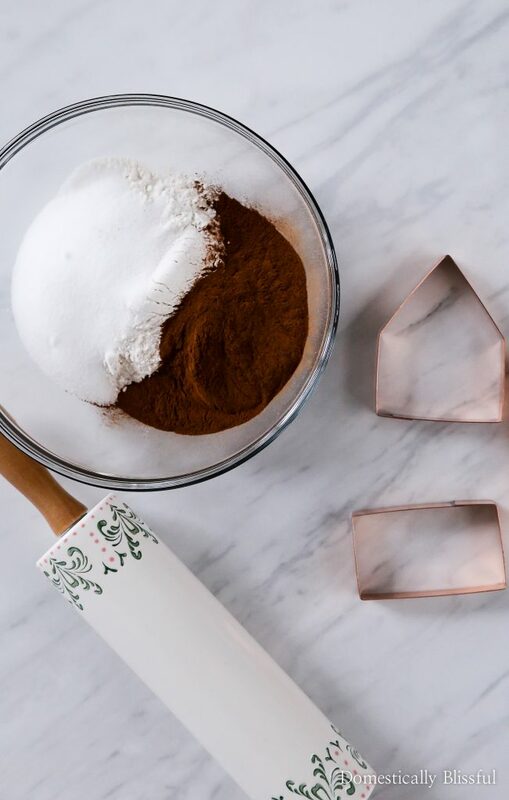 So let’s focus back on this happy little Cinnamon Salt Dough Gingerbread House! 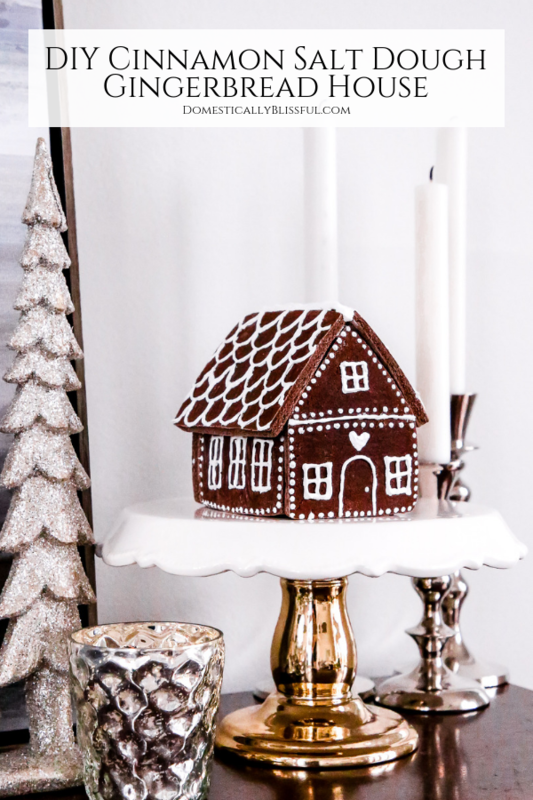 This DIY Cinnamon Salt Dough Gingerbread House was really fun to make! And OH MY GOODNESS our house smelled AMAZING!!! 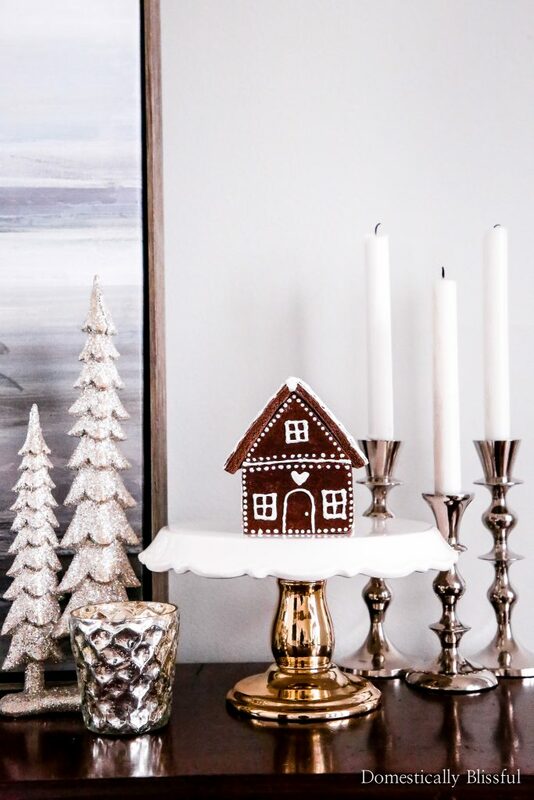 I assembled this little (non-edible) Christmas house with glue & decorated it with paint instead of frosting so that it would last for years to come. This would be a really fun project to create with your whole family at Christmas time. I definitely had a lot of fun creating it & I think it adds just the right amount of Christmas to the top of our piano. 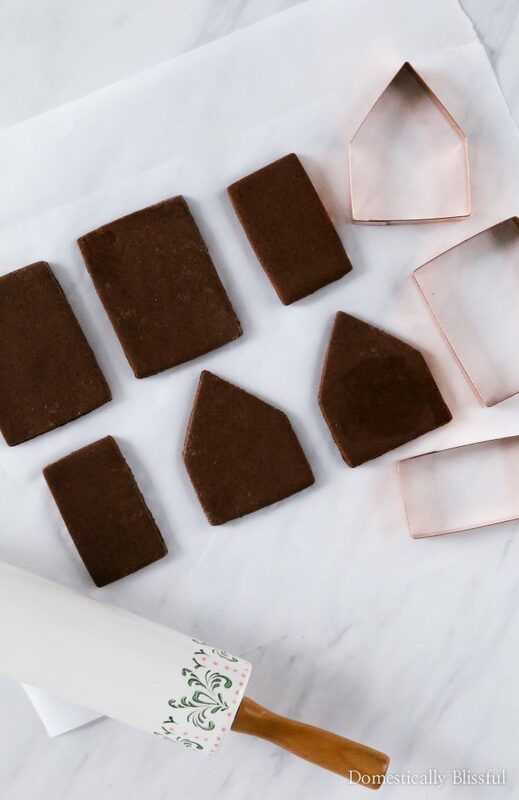 If you make this Cinnamon Salt Dough Gingerbread House this season be sure to share a picture & tag @DomesticallyBlissful on Instagram so that we can all see your beautiful creation! And if you enjoyed this tutorial, be sure to subscribe to my newsletter below so that you don’t miss out on another blissful tutorial! 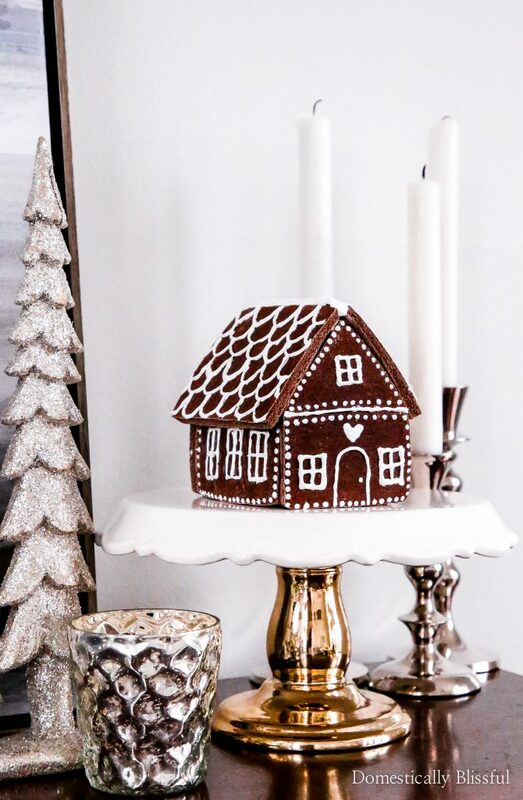 What is your favorite thing about this Cinnamon Salt Dough Gingerbread House? Thanks for stopping by Domestically Blissful! 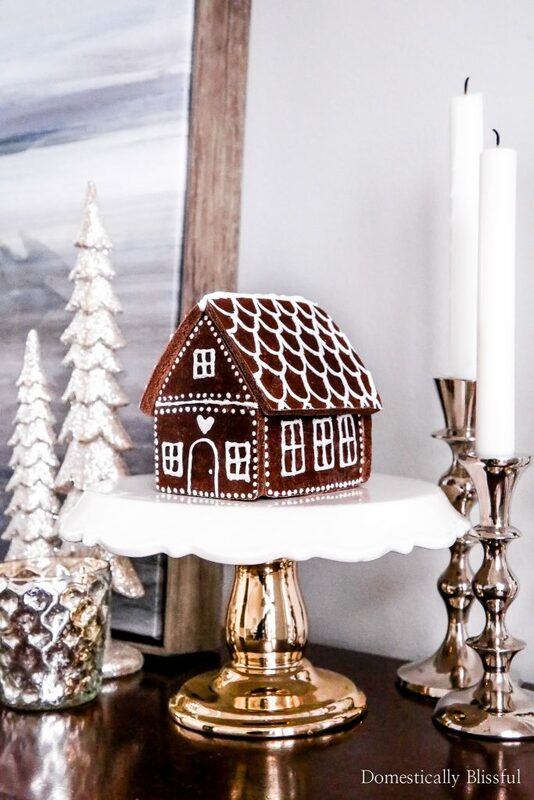 I just wanted to make sure that you know that this isn’t an edible gingerbread house, as it is made of salt, flour, cinnamon, & acrylic paint it is NOT edible. I wouldn’t want you to get sick! Thanks again for stopping by! I hope you have a blissful day!